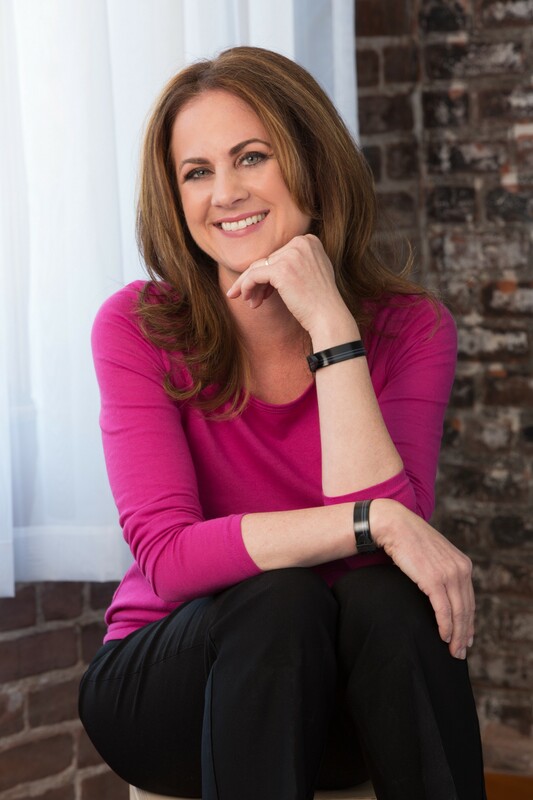 I had the pleasure of interviewing Romy Taormina, Founder/CEO of Psi Bands. Puking was what inspired Romy to take the leap of faith into the entrepreneurial stratosphere. Romy oversees the daily operations, marketing, financials, and sales at Psi Health Solutions, Inc., the maker of Psi Bands. She is a Cal Poly, San Luis Obispo alum with a business degree and marketing emphasis. Psi Bands are clinically proven, patented acupressure wrist bands, a medical device. They sell at Target, CVS, REI, Meijer, Motherhood Maternity, Amazon, etc. ; hospitals; and internationally. I suffered from debilitating morning sickness during my pregnancies. I found nausea relief through acupressure wrist bands but was dissatisfied with existing products on the market so I set out to create a superior product to help those who suffer from nausea , and Psi Bands were born. We are partnering with Camp BizSmart, the premier entrepreneur academy for ages 11–19, on some projects to help fuel their audience’s young entrepreneurial minds. We share in Camp BizSmart’s belief that it is important to teach entrepreneurial skills and great thinking to our young people, augmented by values of courage, character, and citizenship. My husband Michael, of more than 20 years. Growing this business has been a journey, filled with highs and lows. I call it my roller coaster — a fun-filled, wild, crazy ride. Together, we have helped finance the company. And, with his strong finance and HR background, he has helped me see and approach things far better than I would have been otherwise able to do without his coaching and support. Small cars. The US has resisted smaller cars in the past in favor of SUVs, etc. ; however, the US has begun to embrace driverless cars or autonomous vehicles (AV), more fuel-efficient vehicles, and reducing our carbon footprint. Changing the mindset of consumers who are still attached to larger vehicles to convert them to buyers of smaller cars. Keys to success include a creative and robust marketing budget that works to change that mindset and plays up all the advantages of the smaller car — coupled with a low cost price tag on the smaller vehicles so that they are affordable and accessible to the masses. Can you share your top challenges and how you overcame them? 1. Chinese New Year when the Country “shuts down” for a month. Upfront investment and planning must happen well in advance to insure no inventory delays. Seeking good financing terms with the distributor and/or our lenders has helped us to overcome this challenge. Additionally, asking for upfront wire payments from international distributors at the onset of manufacturing (vs extending terms) helps to offset the extended timelines that our US based retailers expect. 2. Financial timeline to float the COGS due to time spent shipping (i.e. on a boat for 6–7 weeks). One must plan for this timeline, or be prepared to pay more to have the goods air freighted (which is not ideal; however, if you get unexpected orders, it may “pay” to have the goods expedited so you don’t lose the sale and you can collect on those goods sooner which helps with cash flow). 3. The obvious: Trade wars when international regulations, taxes, etc. become a threat or reality. Stay informed. Work with your manufacturer on pricing and financing terms to see if there are ways to share the expense and/or extend payment terms. They need/want your business so re-negotiate. Help them to understand the situation and see how you can still make the relationship a win/win. Find out from your freight forwarder if you are subjected to increased taxes. Some products are while others are not. If you are, dive deep into your financials. Where can you shave costs? Have discussions with your customers/retailers/distributors about how to best move forward with future contracts (i.e. perhaps you keep their margins whole but ask that they offer you more marketing opportunities at a reduced or no cost; or ask for other fees to be waived like slotting). See # 3 above. Be effective, not right. If you want to be successful professionally and personally, help others reach their potentials. Being right doesn’t mean someone else needs to be wrong. The sum is greater than its parts. Everyone feels like they are on the same team. Be grateful. When you show genuine gratitude, people are favorably receptive. It’s amazing how simple thank yous go a along way. Give credit where credit is due. It cultivates a deeper and nurturing relationship.